15 km tracks / classic and skating technique / culinary and acommodation offer in the near / ice skating, sledding and winter hiking possibilitys in the near. Cross-country skiing has a long tradition in Jezersko and people started to ski and organize cross-country skiing competitions years before they started the alpine skiing. 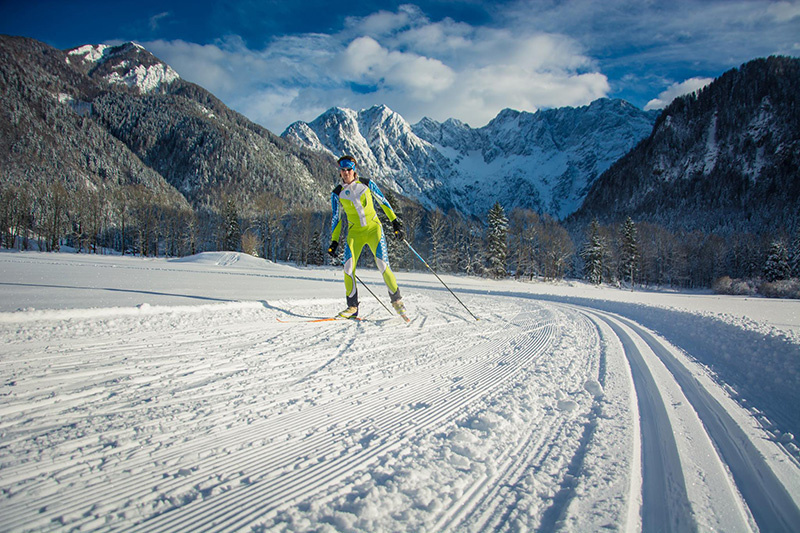 Jezersko has a good ambient for this sport, since in good snow conditions one can run on all flat meadows in the area of Zgornje Jezersko – from the lake Planšarsko jezero to the end of the valley at Tourist Farm Ancel. Terrain is suitable for everyone, from children still learning to stay on skis to professional skiers. For more informations you are wellcome to contact us on mobile phone: +386 51 219 282 or by mail: tic@jezersko.si.